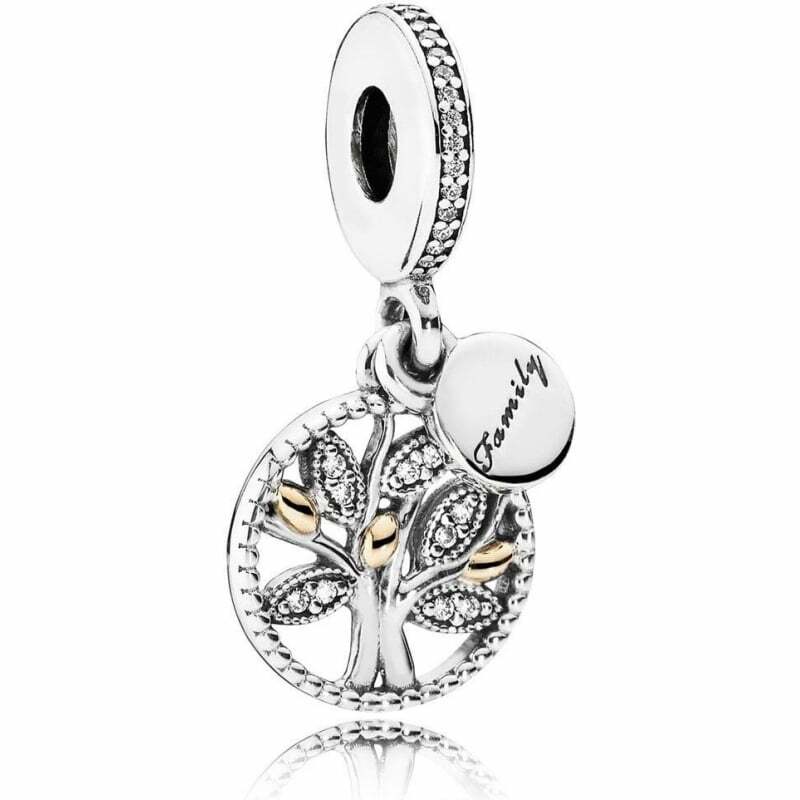 PANDORA family heritage pendant charm. Beautiful family tree design with sparkling leaves and 14ct gold details. My wife was pleased with product.